When Jay Dee (aka J Dilla, aka James Yancey) passed away two and a half weeks ago at the age of 32, hip hop lost one of its most gifted, but also unduly underrated producers. 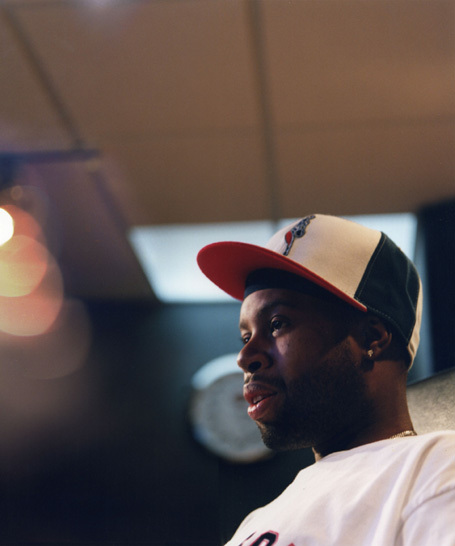 Although he created an impressive body of work, Dilla had never been a household name outside of the industry and a certain circle of hip hop enthusiasts. One reason for this kind of shadowy existence may have been his allegedly modest character, but what mainly kept him out of the spotlight of the hip hop arena was his music. Never caring about the latest fashions of mainstream rap, his musical vision revolved around the legacies of jazz and soul. With his production work he was instrumental in the redefinition of the sound of A Tribe Called Quest and other groups associated with the Native Tongues in the mid-90s, as well as in the preparation of the ground for the neo-soul movement. Jay Dee’s beats are exemplary of how advanced sampling technologies define the musical aesthetics of contemporary jazz-influenced hip hop and neo-soul. Instead of simply looping portions of sampled material, Jay Dee used digital programming to deconstruct his source material into molecural pieces and subsequently re-arrange these particles in his tracks. An example of this strategy from the early days of his career is „1nce Again“ off A Tribe Called Quest’s crininally underrated „Beats, Rhymes and Life“ album (1996), which Dilla co-produced as a part of „The Ummah“ (a group which consisted of Dilla, Q-Tip and Ali Shaheed Muhammad). A hypnotic vibraphone loop – put together from sampled bits of a 1960’s jazz recording (The Gary Burton Quartet: „I’m Your Pal“) – forms the melodic backbone of the track. The warped bassline which sets in with the beginning of the first verse is programmed from sampled bass tones of the same source. This „deconstructive“ approach is even more obvious on the The Pharcyde’s „Drop“ (also from 1996), which is entirely based on a sampled loop playing backwards. How Dilla used abstract methods and cold technological means to create organic, warm and soulful sounding music is simply astonishing. This distinguished way of beat-crafting really is the essence of his musical vision and the reason why he was admired by fellow musicians and producers. The beauty of his loops lives on. A decent compilation of Dilla tracks can be found on the excellent special features of Gilles Peterson’s Worldwide show (BBC Radio 1) and Benji B’s Deviation (BBC 1xtra).